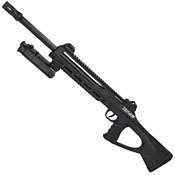 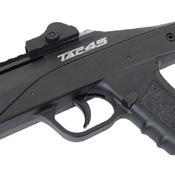 The TAC-4.5 rifle is a light weight, CO2 powered Airgun rifle with an ergonomic pistol grip that holds the 4.5mm BB’s in a stick type magazine allowing for fast reloads. 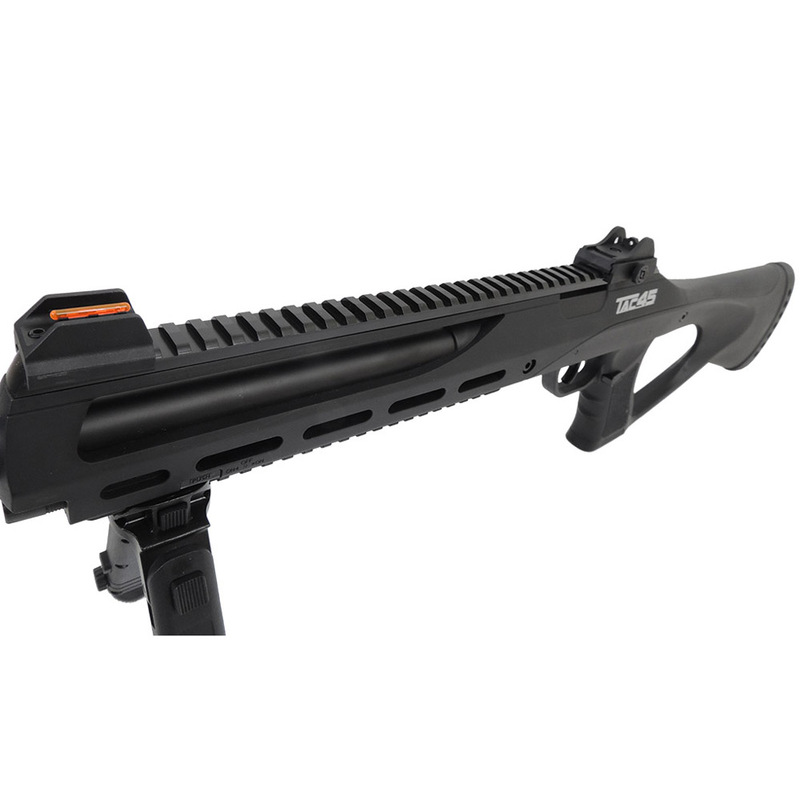 The rifle features a full-length picatinny upper rail for optics and accessories. 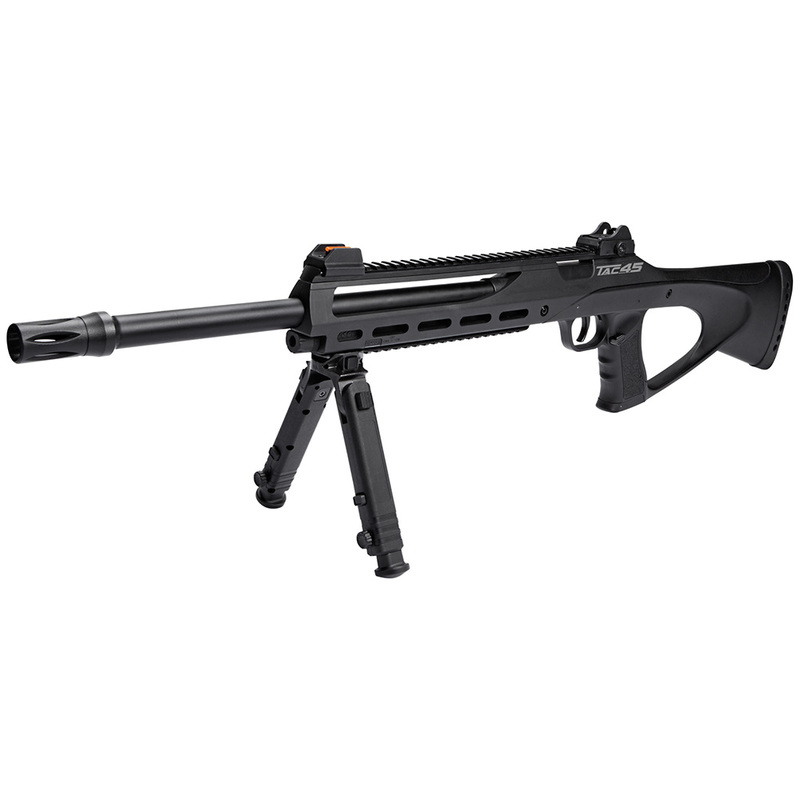 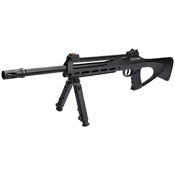 The lower part of the rifle has a long rail for attaching the included folding bipod, and can be used for other equipment like tactical lights. 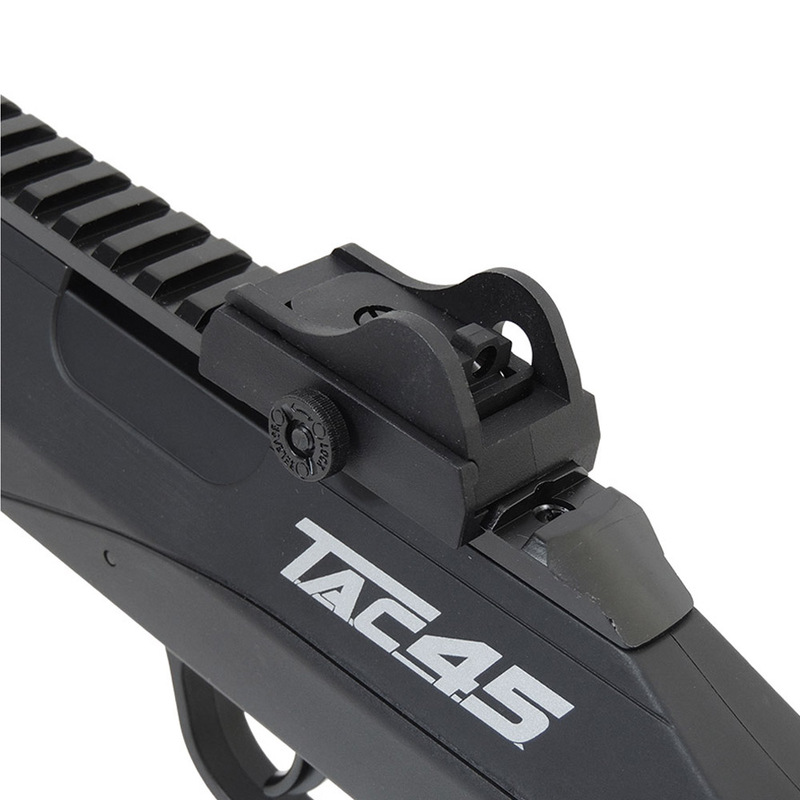 Furthermore, the rifle features an integrated mounting bay for a laser aiming module, specially designed for this rifle. 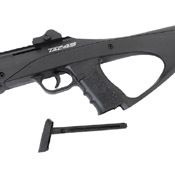 The thumbhole stock has a built in rubber pad for added comfort when shouldering the rifle. Included is also a pair of removable fixed sights with a self-illuminated fiber optic front bead. Using CO2 means more power and a high rate of fire, making this an exciting and fun gun to shoot.